Need a fast Kirkland, WA plumber who can provide immediate service? Don’t let your problem build up and create a more costly headache for you. Call Fox Plumbing & Heating today at (206) 654-4990 to set up a visit from one of our experts. Click here to print out our latest coupons and save on your next service in the Kirkland area! Is a recurring drain clog or leaking water heater stressing you out? We understand that unexpected plumbing problems can occur. That’s why we provide 24/7 emergency service to handle the most urgent plumbing, drain cleaning and leaky pipe situations. Fox Plumbing & Heating is your reliable Kirkland, WA plumber committed to ensuring your safety and comfort. We will not consider the job complete until you are 100% satisfied. Take a look at what your neighbors are saying here in our customer reviews. Looking for a new, more efficient water heater? If your current water heater is leaking or is too cold to be efficient, contact us for immediate replacement. We will help you find and install the perfect water heater to fit your family’s needs. If you have a smaller household, you may want to consider a tankless water heater. Compared to a traditional tank unit, tankless units are unmatched when it comes to energy savings, space, efficiency, and long-term reliability. However, despite the numerous benefits, tankless water heaters are not the perfect fit for every household. Homes with more occupants will likely benefit more from traditional water heaters. It all depends on your daily water needs. If you are in the market for a new water heater, contact us today and we will help you install your new unit according to code. Do you need to repipe your home? Older homes are often at risk of having corroded piping and other severe damage in their plumbing lines. Fox Plumbing & Heating is here to help you stay safe and comfortable in your own home. We will replace unreliable piping material, such as galvanized steel or polybutylene pipes, with high-quality materials. 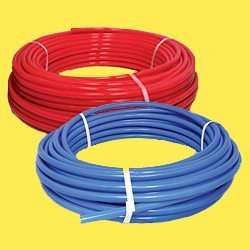 Popular choices in new pipe material among homeowners are copper and PEX, which are resistant to corrosion and extreme weather and are proven to provide long term reliability. Our team will help you find the right materials for your home and install it for you. Our repiping work complies with local building codes and safety standards. Is your sewer line in need of repair or replacement? There are several factors that can lead to trouble in the sewer line, including invasive tree roots, shifting soil, and nearby construction work. Signs that you may have a problem in your sewer line include multiple clogged drains in the home, overflowing or backed up toilets, or the sudden appearance of water stains on walls. If you need to repair or replace your lines, just contact us for help. We will inspect the line to identify the source of the problem, then determine the most cost effective solution for you. 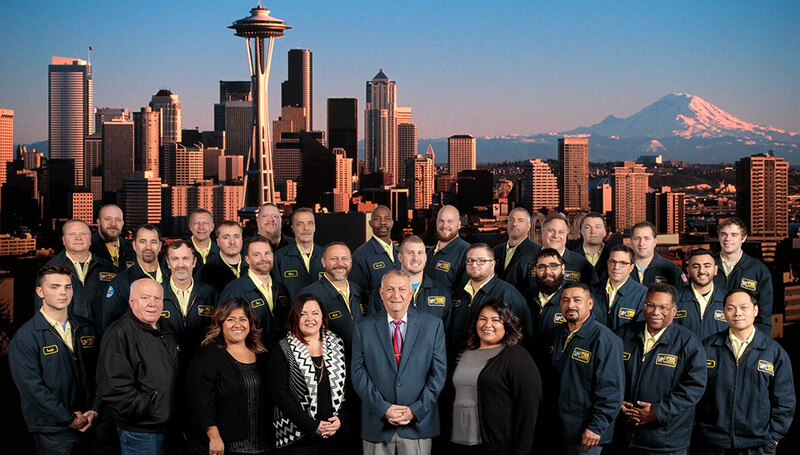 Call us today at (206) 654-4990 to schedule an appointment with our team. We promise to solve your specific plumbing problem and help you achieve the desired results, all at a fair price. Contact us today! My water heater began leaking overnight and flooded my bedroom. I called several plumbers and no one was available to fix it on the same day. Fox Plumbing is the only plumbing service that could do same-day service. I've been helped by Konrad, he was very helpful and efficient, thanks again!! Below are just some of the specials that we offer for to Fox friends and family. Don't forget to 'Like Us' on Facebook and Twitter to get special offers from Fox Plumbing & Heating.